The rules of business have changed. Fundamentally. Instead of trusting what companies say about themselves, customers now rely on recommendations from their peers. Innovative companies are turning to User-Generated Content (UGC) to tackle this new dynamic. 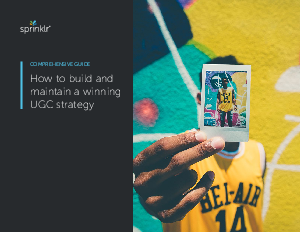 UGC allows for authentic, peer-driven marketing campaigns that can drive more success than a conventional campaign – and at a fraction of the price.